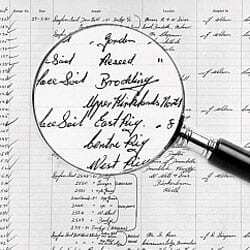 Need to covert a document into a text searchable format? Then OCR – Optical Character Recognition – is the process you require. When a page of text is scanned into a computer without OCR software, all the computer sees is a collection of graphical bits or an image. In other words, it has no idea there is text on the page, much less what the text says. The OCR software processes the scanned pages to differentiate between images and text and determine what letters are represented in the light and dark areas. This allows for the search of key words or phrases within documents. OCR services are performed using professional scanners and sophisticated software for maximum accuracy. Most importantly, the text recognition rate is close to 99% accurate for originals in good condition.